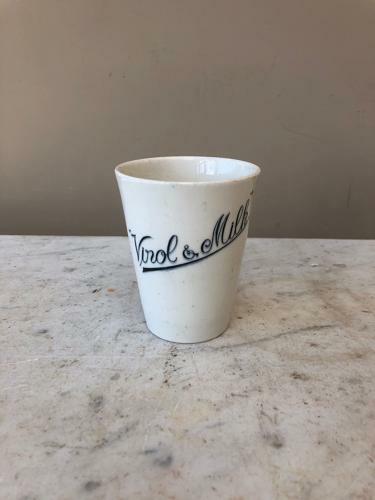 Super Rare Early 20th Century White Ironstone Advertising Beaker for VIROL & MILK and on both sides. Mint condition. Regd No on base Meakin England.